[caption id="attachment_23392" align="alignleft" width="150"] Laura Strachan, Guest Blogger[/caption] This blog is written by guest blogger Laura Strachan. It’s holiday season! And with that comes the inevitable urge to create Christmas crafts and gifts. Every fall I coerce my son out to the park to go “pine cone hunting” for various shapes and sized cones that we can add to our Christmas decor. Pine cones are a nice natural touch to add to the common plastic fanfare that usually surrounds the season. Wire pine cones in pairs and hang them on your tree. Fill a hurricane vase or glass bowl with pine cones, acorns and Christmas balls for a fresh centrepiece. For a more ambitious project follow these steps for a one-of-a-kind wreath! If some pine cones are not dry, place them on a cookie sheet in the oven on low until the scales open. Also divide your pine cones up by size. Step 1 - Base Layer: Long, narrow pine cones work best for the base layer. Otherwise start your first layer using your larger pine cones. Arrange the pine cones pointing outwards on the outer ring of your frame. Using short pieces of wire, individually fasten the pine cones to the frame.Repeat this until the first outer ring of cones is secured. For extra security, weave one long length of wire in and out of the ring of cones, tightening it to the frame. Step 2 - Arrange your second row of pine cones, overlapping the base layer as shown. Secure the layer by weaving wire through the layer to the frame, or adhere the layer using hot glue. Repeat Step 2 for additional layers if necessary. 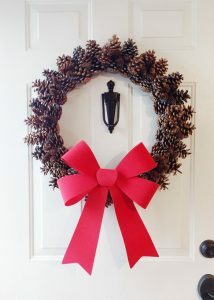 Step 3 - Turn your wreath over and secure any loose or wiggling pine cones with hot glue. Step 4 - Add final touches to your wreath by filling any spaces or gaps by hot gluing bundles of small pine cones, or acorns in place. Step 5 - Decorate your wreath using a bow or ornaments, or simply hang as is for an all season decoration. Let us know how this craft turns out for you by commenting below or sharing with us on Facebook or Twitter! [caption id="attachment_23392" align="alignleft" width="150"] Laura Strachan, Guest Blogger[/caption] This blog was written by guest blogger Laura Strachan. ‘Tis the season for decorative gourds! Why not put those cute Cucurbitaceae to good use by turning one (or many) into a bird feeder? This is a great way to bring birds to your yard while decorating for the season. Gourds come in many shapes and sizes, but all will work for this easy DIY feeder. The first thing that you will need to get are a few materials listed below. Drill with ¼” bit (optional). Step 1: Cut off the top section of your gourd and set aside. Remove the seeds. Step 2: Evenly space out and mark the locations for 3-4 holes on the side of the gourd edge. Using a knife or drill poke holes through to the interior. Step 3: Feed strings through the holes, knotting them in place. [caption id="attachment_29410" align="aligncenter" width="800"] Steps 1 through 3. Photos by Laura Strachan[/caption] Step 4: Inserts toothpick or sticks into the sides for perches Step 5 (optional): Replace the top section onto your birdfeeder by skewering it in place with toothpicks or by adding holes to the top, knotting it in place. Make sure you leave enough clearance for the birds to reach the seed! [caption id="attachment_29412" align="aligncenter" width="800"] Final steps to gourd bird feeder by Laura Strachan[/caption] Fill and hang! Let us know how this fall craft turns out for you! This summer you can attract bees to your garden with more than your wildflowers! 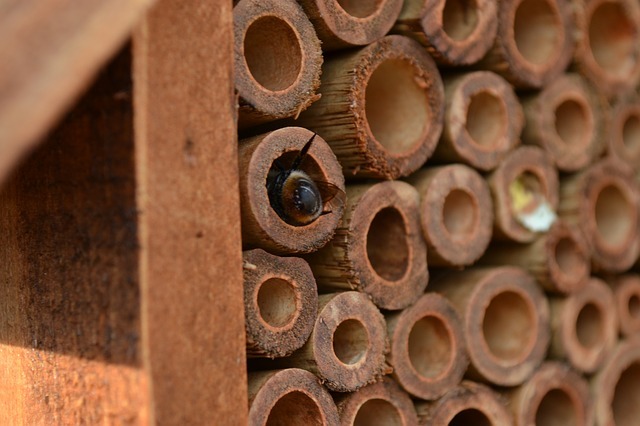 We have created a step-by-step guide on how you can make your own Mason Bee Hive. This bee hive can be easily made from recycled material that you have in your home and will help to bring back the bees. This tubular-style of hive will primarily attract solitary bees such as the Mason Bee and the Leaf-cutter Bee. 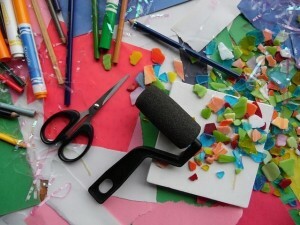 Materials needed: scissors, tape, a pencil, a marker, an empty and clean aluminum can, two toilet paper rolls (or paper towel rolls cut in half), straws and/or a magazine, enthusiasm! Start building: Take your two toilet paper rolls and place them inside your aluminum can – you want the rolls to be about 4 inches long – just long enough so that they do not stretch past the rim of the can. Finished product in this step should resemble “owl eyes,” and should have a tight fit inside the can. Have some fun: paint the can, put stickers on it, bright colours – whatever you feel like doing to liven it up! Bee tubes 101: diameter measurements of the tubes should range anywhere between 1/8 - 1/2 of an inch – this is the preferred width of the Mason Bees. To make your tubes, you can use straws (already ready to insert) or rolled-up, durable pieces of paper (ex: magazine paper). Make your bee tubes: If you have chosen to roll your own tubes, you will need both a pencil and a slightly-larger marker – to achieve tube-size variation. Smaller tube: align a pencil on top of a sheet of durable paper and start rolling, keeping it tightly bundled! Before you remove the pencil from your tube, tape it together. Larger tube: The same as above, but with a marker that is larger than the pencil. Tape it together. Repeat until you have a substantial number of tubes to fill the toilet paper rolls with. Tube construction continued: remember to vary the sizes of your tubes – some bees want a big hole, others prefer a small dwelling. Your tubes do not have to look perfect or be a certain colour to attract these bees. Just make sure that they fall within the proper diameter range, and that there is a clear view inside – any crinkled parts that arose during the “rolling step” should be manually straightened out. Fill your toilet paper rolls with the bee tubes! To ensure that the hive is tight and bee-ready, shake it to make sure that no tubes fall out. Put it in your garden or wherever you like! Be creative – there is no need to buy fancy, expensive tools or materials from the hardware store. #1 Tip = keep it out of the rain! Nestle it somewhere safe where it fits tightly or glue/tie it to a wooden post. Your hive-building adventure is complete! Let us know how yours turn out by sharing it on Facebook or Twitter! For the full video, click here. 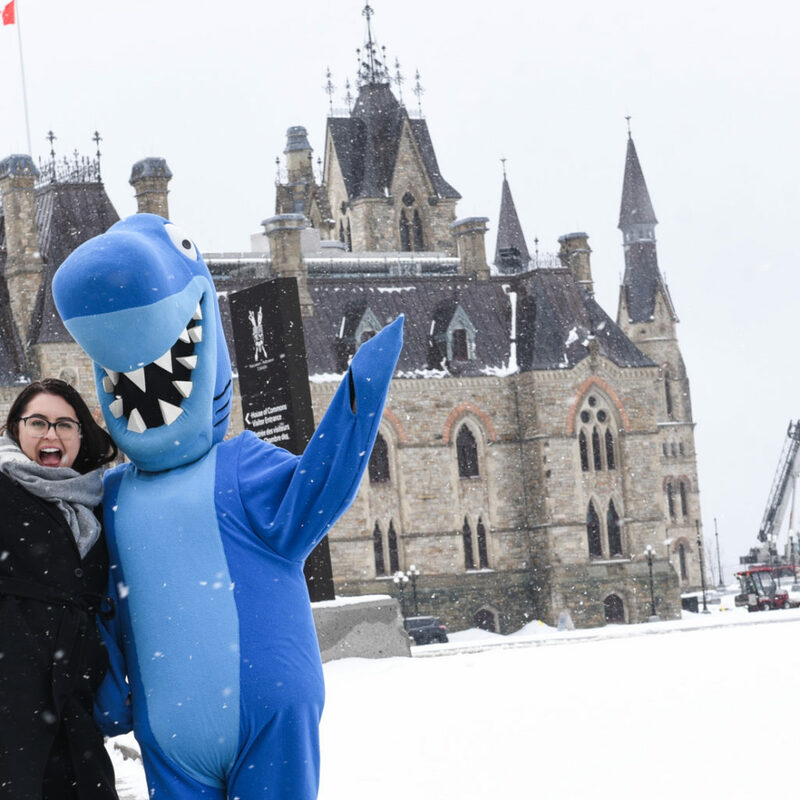 [caption id="attachment_23392" align="alignleft" width="200"] Laura Strachan, Guest Blogger[/caption] This blog was written by Nature Canada's guest blogger, Laura Strachan. I am willing to bet that most of us see more concrete than grass in the run of a day. Hustling from home to office, to malls, to school and back we tend to lose sight of the immense natural world around us as we travel through our daily routine. But let’s not forget what keeps us alive. There is real dirt under that concrete! Birds and animals are running around in the streets! That tree in the mall is helping to clean the air! Mom always said “a room should always have some greenery”. Having plants in your home makes an underestimated contribution to the comfort of the room. They’re alive, fresh and can help clean the air. Houseplants are a decor must that never go out of style. Birds are amazing creatures, so why not encourage them to visit? 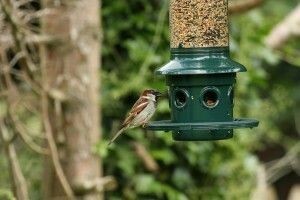 Install a feeder near a window so you can get an undisturbed view. This one is inexpensive and attaches right to your window, or DIY with some of these ideas. You might want to sign out a book on local birds from your library so you know what you are looking at! 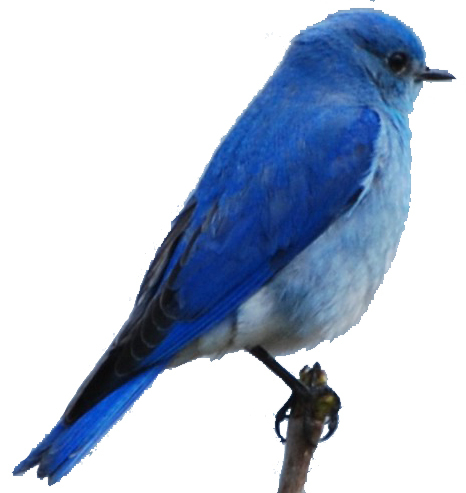 As well, you can check out these 12 different ways to make your whole backyard bird-friendly! 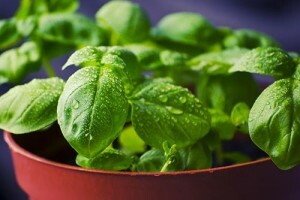 Double down on the houseplants and grow edible ones! Herbs and microgreens can be grown easily in a windowbox or mini greenhouse. A variety of dwarf fruit trees can also be purchased that can be grown indoors. Check out your local nursery for details and what suits your environment best. You can never have too many trees. 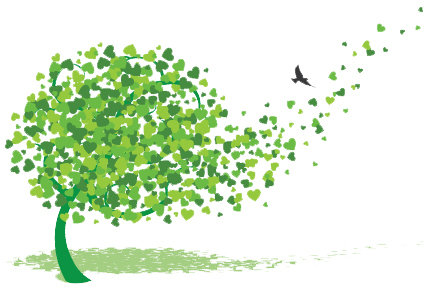 Trees clean the air, create privacy, provide food and habitat for small creatures. If you don’t have land, look for Adopt-a-Tree programs in your area, where you can foster the growth and maintenance of trees on public property. It’s free! Fill a glass bowl or vase with pinecones or acorns. Use those special rocks and shells your kids collected in a centrepiece. Enlarge photos from your favorite canoe trip and frame them on the wall. Put the paddle on the wall too! Use rocks or logs as bookends. Be careful not to disturb any growth or habitats that are in use when collecting your items. Take an hour a week to open all of the windows and “air out” your home. Freshen up the air and let some natural light in! Sadly we can’t all be on a perpetual camping trip to enjoy the outdoors. But some simple additions may help bring the natural world to you wherever you live. And take the opportunity to learn about your living environment while you’re at it. It’s right outside your door! 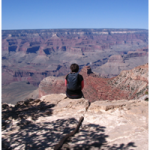 Women for Nature Member[/caption] This guest blog is written by a founding member of Women for Nature, Amy Cross who is the Program Manager at The Schad Foundation. 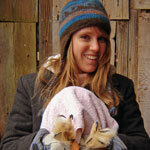 Amy strongly believes in the value nature brings to people’s lives. Her passion for nature and wildlife is shared with her family and this guides her life mission to protect biodiversity in her own backyard, country and planet. In this blog, Amy shares with our audience the many outdoor and nature based activities that you and your family can experience or explore this holiday season. Happy holidays while celebrating nature too! I am predict I am not alone in saying my families holiday season if often busy and overscheduled with friends and family visits, the shopping, cooking and eating that often goes along with these gatherings, not to mention decorating, shopping and wrapping gifts and preparing for out of town guests. Don’t get me wrong the holiday season is my favorite time of year and not only because of all of the things listed above but also the music, sense of community, spirit of giving back and enjoying one of my families favorite change of season… winter! This year I have committed to making my family’s holiday more active, engaging, meaningful and environmental by participating in many of the activities listed below. By all means use these events and activities as reasons to get together with friends and family members… you will not only get to spend quality time together but to also give back, enjoy the outdoors and for some events learn about and/or protect species and the environment! If there is an event we missed please share it in the comments section! 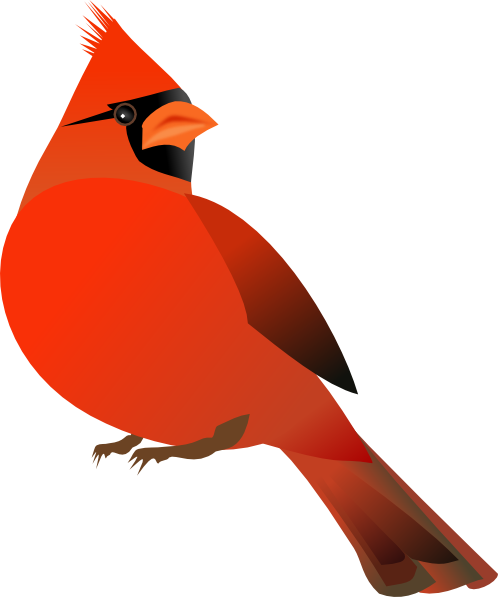 Christmas Bird Count with Bird Studies Canada, December 14 – January 5, 2015 You can help monitor and conserve North America's birds! To get involved in the Christmas Bird Count, find a count near you and connect with the local contact. You can be a field observer on your own by joining a small group, counting all birds you find. 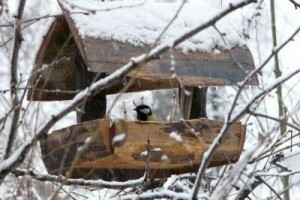 Or you can participate in your own backyard as a Feeder Watchers and count birds at your feeder for a portion of the day. Winterfest on Toronto’s Waterfront, December 18 - December 20, 2015 Families can join Santa and his elves for the 10th Annual Santa Cruise aboard Mariposa Cruises’ Northern Spirit, festive brunch included. Pets can get in on the action with pet photos with Santa at Purina PawsWay, while families can learn more about the Arctic and create their own piece of art at the Museum of Inuit Art. People of all ages can also take part in a FREE pastry-eating contest, hosted by the BeaverTails mascot Beav, and enjoy holiday carols by a cappella group! For more information, click here. Holiday Hike in High Park – December 20, 2015 Meet at the benches by Grenadier Café at 10:30am and enjoy a hike through High Park to Colborne Lodge where you will enjoy hot cider. For more information, click here. Scenic Caves Nordic Adventures This one required a trip to Blue Mountain but activities include groomed cross-country skiing, snowshoeing and traversing 420 feet over Southern Ontario’s longest suspension bridge! This spectacular winter playground at the highest point of the Niagara Escarpment is set in one of Canada’s sixteen UNESCO biosphere reserves. The suspension bridge features panoramic view of Georgian Bay and the varied, picturesque nature trails range from gentle rolling slopes to steep climbs. Inspired by nature, the trails wind through a 200 year old forest rich with wildlife. Winter owls and a wide variety of other birds will beckon to you from the 100 foot tall maple, beech and oak trees, while deer and many other animals can be seen in the forest. For more information, click here. Magical Christmas Forest Kortright Centre for Conservation – December 12, 13, 19, 20, 2015 The forest comes to life with lights, friendly elves and your favorite Christmas characters. Visit Santa's workshop to see the elves at work. Play games, make Christmas crafts and watch a Christmas movie in our theater. Enjoy carols and Christmas treats by the fire. Each child will have the chance to visit Santa's cabin and tell Santa their Christmas wish. For tickets and more information, click here. Toronto Zoo Treats and Talks – 11am – 2:30pm December 26, 2015 The Toronto Zoo is the place to be on Boxing Day! Enjoy 50% off admission all day and check out their extensive Keeper Talk Program that offers a fun holiday theme and delightful seasonal treats for the Zoo's animals. Please bring a non-perishable food item for the Daily Bread Food Bank and any old cellphones to help support the Great Ape Conservation program. Plus, if you are looking to warm-up from the cold why not drop by the Zoo's new Indoor Giraffe Exhibit, or one of the Zoo's five indoor and exotic pavilions. For a full schedule and more information, click here. Earth Rangers’ Happy Holi-DIY Mission! Each holiday season we buy new toys, clothing and who can forget the shiny new holiday decorations that make the season bright! Our forests provide us with the resources to make these products (like wood, paper and metals) so it’s important that they are collected in a responsible way. Organizations like the Sustainable Forestry Initiative (SFI) make it easy to choose products that help conserve our forests – you can look for their name on the products you buy! This year you can take action to help conserve Canada’s forests and the animals living there by making your own holiday gifts and decorations. Go to their website and sign up to be an official Earth Rangers’ Member, you can then accept the Happy Holi-DIY Mission, you’ll get access to awesome crafts that you can make from items found around your home. When you’re done, visit this site to let everyone know about your Happy Holi-DIY Mission! Cambridge Butterfly Conservatory Flight of White, December 5, 2015 - January 31, 2016 (Closed Dec 21-26, Jan 1) This truly unique holiday exhibit transforms the tropical butterfly conservatory into a magical oasis featuring 1000's of additional Rice Paper butterflies flying freely through the Conservatory. With a wingspan of up to 14cm, the Rice Paper Butterfly, a large white relative of the Monarch, is impossible to miss as it floats through the air moving gently from flower to flower. Rice Paper Butterflies are favorite of guests because they land on people the most! The Flight of White experience also includes lush white poinsettia flowers, 1000's of sparking white lights, and soft strains of classical music playing in the background. Talk about a relaxing escape from the hustle and bustle of holiday activities! For more information, click here. Reptillia Tours and Winter Camp – December 21-24 and December 28 – January 1, 2015 Reptilia Reptile Zoo is a state of the art 25,000 square foot CAZA accredited facility complete with large exhibits showcasing hundreds of different reptiles and amphibians. 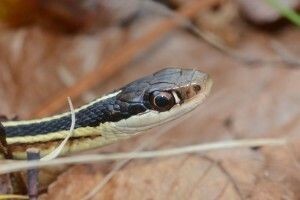 This winter Reptilia offers a safe, exciting and unforgettable camp experience for your 4-12 year old. Our campers learn about science, interact with amazing creatures and enjoy all kinds of winter fun at the same time. Repitllia is also open for daily tours everyday but Christmas! For more information, click here. Ripley’s Aquarium – Open 365 days a year! Ripley’s Aquarium showcases the beauty and significance of our aquatic world and the animals within it, to both entertain and inspire while encouraging you to respect and protect the waters of the world. The Aquarium features over 16,000 aquatic animals and North America’s longest underwater viewing tunnel with more than 5.7 million litres of water and over 100 interactive opportunities. Get up close and personal with three touch exhibits featuring horseshoe crabs, sharks, and rays as well as daily dive shows every 2 hours. For tickets and more information, click here. License to learn: Give a membership to a young naturalist's club, museum, or science centre. Feed fascination: Birdfeeders lead to exciting observations, which could spark a lifelong love of nature. Play green: Browse toys and games at craft fairs or online at The 100-Mile Child, Abby Sprouts, or Grassroots. 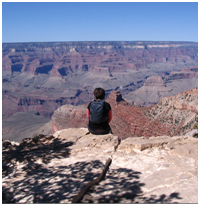 Park pass: Parks Canada offers a free pass to youth to national parks. 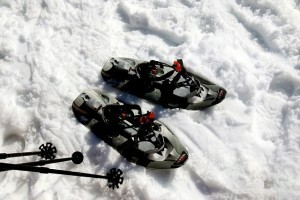 Provincial parks and conservation authorities also sell passes for a more local exploring gift. Something new: Sign them up for a photography or identification workshop, or a day of ziplining, whitewater rafting, or rock climbing. Tools: You can never have too many field guides! And a Rite-in-the-Rain Journal is perfect for taking notes. Tickets: Treat them to a big-name act or an intimate show at a local bar or restaurant. Gift certificates: Help them fill out their collection with a card for iTunes. Gear: Check out various types of headphones and audio systems and Hipcycle's upcycled vinyl accessories and decor. Ebooks: Save a tree by giving a Kobo gift card or using the 'give as gift' button for Kindle. Green reads: Alone Against the North by Adam Shoalts, A Naturalist Goes Fishing by James McClintock, H is for Hawk by Helen Macdonald. Word craft: Upcycle an outdated book into a hip gift with some DIY. Drinks and treats: Shop local farmer's markets and craft fairs, or online at Bridgehead, Ten Thousand Villages and Southbrook Winery. 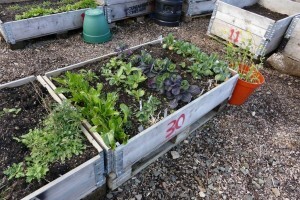 Healthy eats: Sign them up for a CSA or community garden plot. Supplies: Check out arcitec eco smart kitchen utensils available at Terra 20. Vintage: Browse these online retailers for unique, preloved pieces of clothing and jewelry. Hand-made: Craft fairs and Etsy are great places to fine one-of-a kind garments and accessories made from sustainably-sourced materials. Tree chic: Tentree.com aids global reforestation by planting ten trees for every item purchased. Save birds: This tried-and-true window applications will help bird-lovers protect feathered friends from collisions. Save water: Ecofitt's deluxe water saving kit is great for those resolving to reduce their eco-footprint. 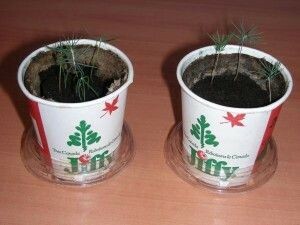 Green it up: Make a DIY terrarium, or purchase a Tree Seed Kit so your favourite tree-hugger can enjoy a live white spruce for years to come. Toys: West Paw Design has a wide range of eco-friendly toys and a dog toy recycling program. Or, make your own dog or cat toys! Togs: Dog apparel from Eco-pup is eco-friendly, fashion-forward, and made in Canada. Time: Playtime galore is better than any gift money can buy! Donations: Some people truly enjoy giving more than receiving! Why not honour someone's love for nature by giving to Nature Canada on their behalf? Wrap responsibly: Sew or buy reusable fabric bags or get creative with fabric scraps, used maps, and last year's bags, boxes and tins. Label with tags cut from old holiday cards.